Sod poodle is apparently an old-fashioned nickname for a prairie dog, and the name was designed to cause a ruckus, says the sports-marketing company that helped create it. The announcement that minor league baseball was on its way to Amarillo came nearly a year and a half ago. Since then, one question above all others has lingered in the Panhandle city: what would the new club be called? At long last, there’s an answer, though it hasn’t come without controversy. Before we get to what the name is, let’s talk about how we got here. Amarillo has had minor-league baseball teams before – teams like the Thunderheads, the Gold Sox, the Gassers. But this team, the Double-A affiliate for the San Diego Padres, will be a new start. Amarilloans voted to publicly finance a new downtown ballpark, and a new name was up for debate, too. In May, the team announced five finalists: the Long Haulers, the Bronc Busters, the Boot Scooters, the Jerky and the Sod Poodles. The public response was less than enthusiastic, says local writer Jason Boyett. “They are the Sod Poodles, Sod Poodles, them Sod Poodles, they sure know how to win,” as one of Leverett’s songs goes. Like a lot people, Leverett didn’t like any of the name options at first. But the more he thought about Sod Poodles, the more it grew on him. “Man, I think Sod Poodles is just rad. You gotta go with it. You gotta go all in and just have it be goofy,” Leverett says. Supposedly, sod poodle is an archaic nickname for a prairie dog, although no one but people with the baseball team seems to have ever heard it before. But it caught on. Leverett wrote his sod poodle song, and a local Chick-fil-A restaurant put up a marquee that read, “Chicken tastes better than sod poodle.” An Amarillo attorney named Dean Boyd started running a TV ad with a small brown poodle sitting next to a mitt and a batting helmet. “You ever been in a car, truck or motorcycle wreck? You don’t need a sod poodle; you just need Dean,” Boyd says in the ad. But as the sod poodle name gained traction, so too did the pushback against it. People thought it was too weird, too fluffy for Amarillo. “It created a lot of conflict because people just wanted us to be called the Bombers or, you know, something that’s ‘stick-your-chest-out, tough-guy Amarillo,'” Leverett says. The debate rolled on for months. The Amarillo Globe-News published an editorial with the headline “Sod Poodles? Amarillo Can Do Better.” In some businesses, this much controversy might be a bad thing. But not in minor league baseball, says Jason Klein a partner at San Diego-based Brandiose, the company that helped develop the Amarillo team’s branding. “It was definitely the most polarizing, the most talked about. The passion for the name Sod Poodles was unlike anything we had seen before,” Klein says. Klein has worked with dozens of minor league ball clubs, and his company has a penchant for outlandish names, including the Hartford Yard Goats, the Binghamton Rumble Ponies and, most recently, the Rocket City Trash Pandas. He says it’s all part of a strategy. “People always ask us, ‘Isn’t it the worst thing when someone hates what you create?’ and we say, ‘No. The worst thing is if they’re apathetic about it,'” Klein says. Tuesday afternoon, in a conference room in the Amarillo Embassy Suites, there was little apathy to be found. School kids, city leaders, and season-ticket holders had packed in for the big reveal. The team broadcast the announcement over Facebook live; over 15,000 people watched. 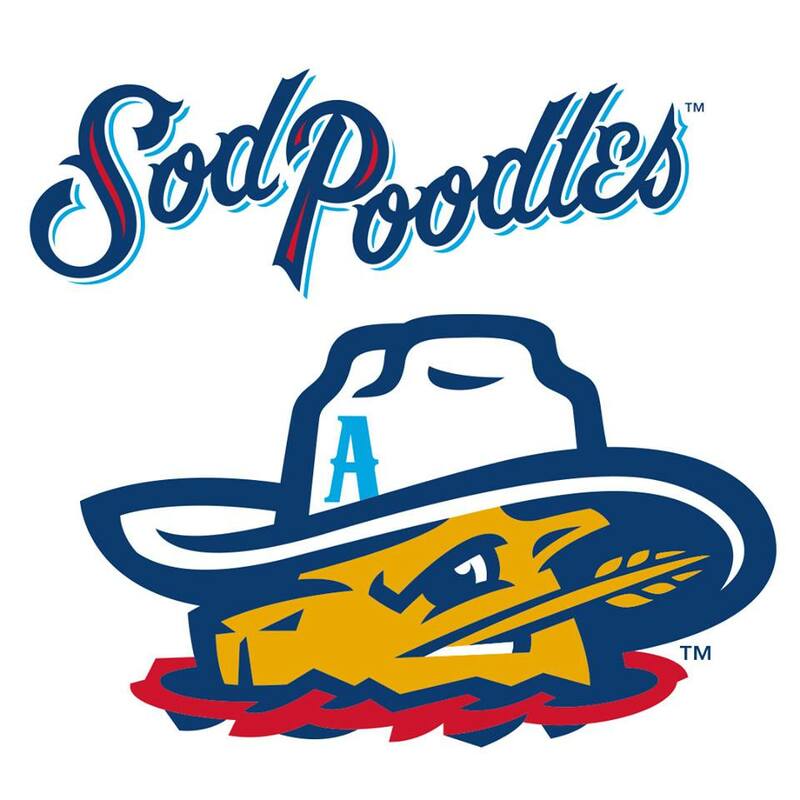 There was also a promotional video giving the Long Haulers, the Jerky, the Bronc Busters and the Boot Scooters each their due, but in the end, the team announced the winner: “Ladies and gentlemen, your Amarillo Sod Poodles!” an announcer yelled with excitement. The main logo is a prairie dog in a cowboy hat, peeking out of the ground with a blade of prairie grass in its mouth. The man who unveiled it was Tony Ensor, the team’s president and general manager. Like everyone else, he doesn’t fully understand sod poodle mania. But there is another brand out there he compares it to. “[It’s] obviously, on a smaller scale, but when you hear the word ‘Starbucks,’ when that name was first created, it probably made no sense to anyone, you know? What is a Starbuck?” Ensor says. After the announcement, there was some grumbling on social media, but it seemed like many people had come around. Even Jason Boyett, the guy who started the petition, says he thought the logo was cool. The songwriter Carson Leverett was at the announcement. “It looks like everyone is all in, everyone’s excited. I’m sure there will be some backlash in the greater Amarillo community but, I don’t know – we’re stuck with it,” Leverett says laughing.